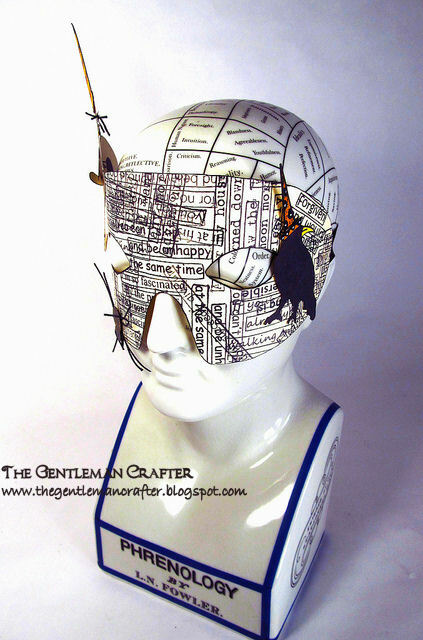 The Gentleman Crafter: LAST OF THE DYLUSIONISTIC MASKS! Tonight, I have been finishing up the last two Dylusional Masks! The thing I think I'm learning through making these masks is to like fussy cutting. OK, don't go crazy on me....I said, THINK! LOL! However, when folks say they watch TV while doing this task, how in blue blazes do you stay on the lines? I had one eye on the tube, one eye on the scissors and another eye on the paper...Still lopped off essential parts! :) Three eyes is not enough! Ahhhhhh....But I found the trick...That black marker works wonders for creating new lines like they were supposed to be there! :) Yep! Magic! So, the masks are done, now I'm onto a cool new mini I thought about in the car today! So excited about it. We'll see if what me head thinks, me hands can create! Its always a toss up! LOL! Well, That's it folks! Thank you so much for coming to visit! Hope you can find some inspiration. 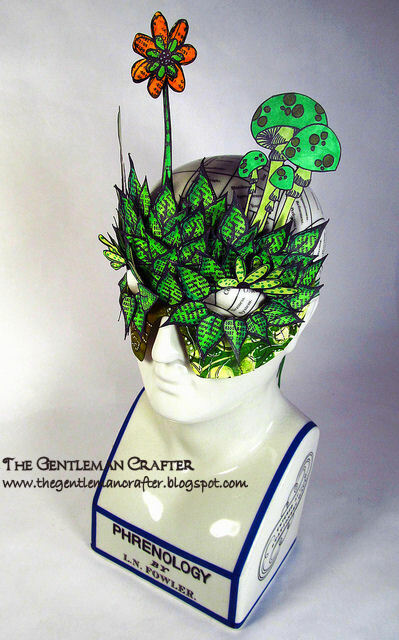 I love them both, the top hat is so cute (by the way I was at Michaels tonight and saw a top hat and thought of you) The mushrooms growing out of the leaves, too cute! Now a mini, no fair I want some of your ideas. Jim these are all simply amazing! Thank you for sharing! Absolutely brilliant!! Love all of them but the green one is to die for!! Fabulous! Love the green man mask. 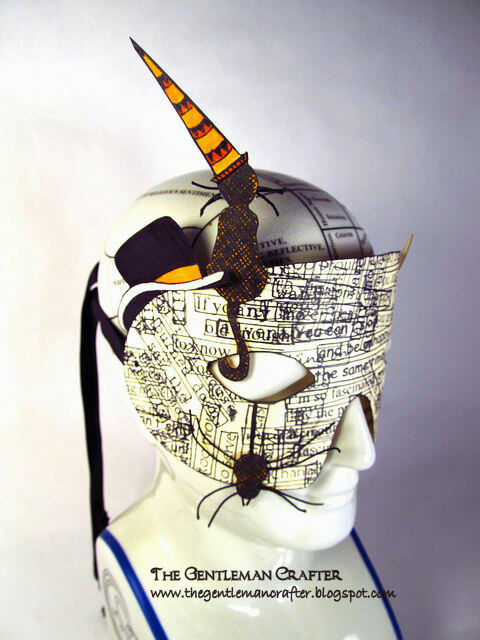 I have looked at all the others and the devil mask is so striking! Great work Jim! TFS! Ooops you did it again! You are having way too much fun and I'm loving it!!! While all of them are GREAT, I think the green leafy one is my favorite...just sayin'! LOL! Love the way your creative mind works with these great projects! WOW Outstanding! These masks are amazing. Wow! They're all great but the green one is my favourite. You've certainly got into the fussy cutting big time! Your effort was well worth it . . . Spectacular! Outstanding Jim! Love all the textures and details. You are really putting the Gentleman touch on Dylusions. First let me say, NOTHING you do is simple. The creativity alone takes it out of the simple range. I love all the masks. Wonderful use of the colors in this line. Love'em both!!! 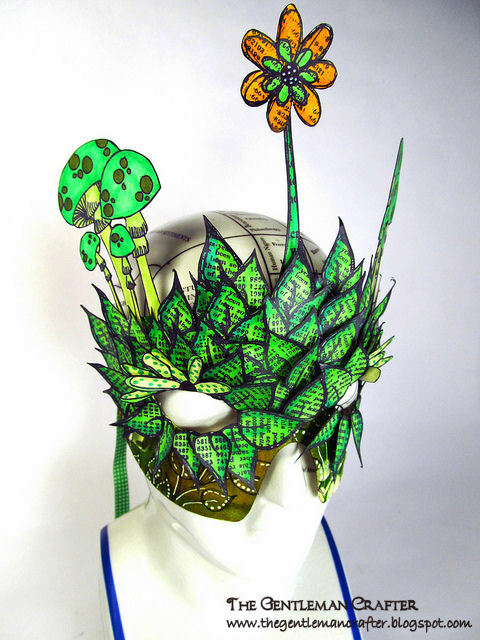 My favorite is the leaf-y mask...love the toad stools and flower sticking up and all the leaves...LOTS of fussy cutting!!! Love!!! The green lantern one is my fav! Fantastic, and I love the green one too! WOW !! What can I say ... WOW ! Ooooooooooh! 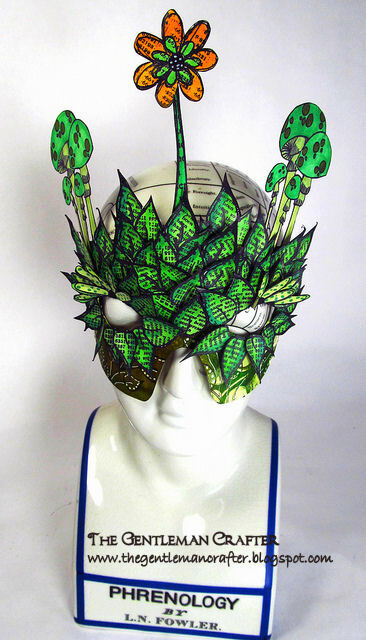 I LOVE LOVE LOVE the Green Man mask! 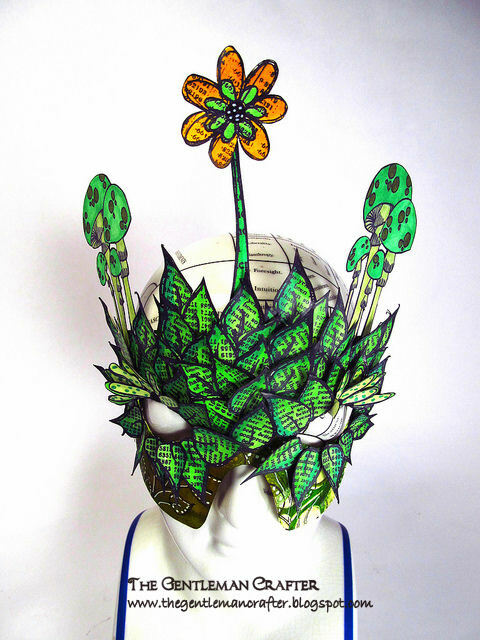 Dyan's leaf stamps are one of my favourites anyway, but what you've done with them is incredible! Well done you! These are stunning! I would wear any one of them...Absolutely GORGEOUS! 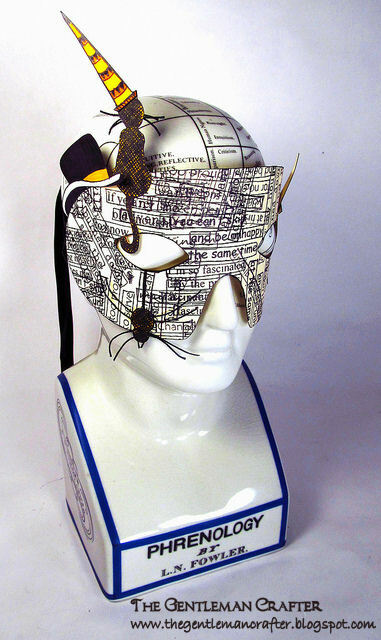 I really love masks and this is such a great idea...Thanx so much for sharing! Love Both! It's amazing and new creation.Thanks for sharing.